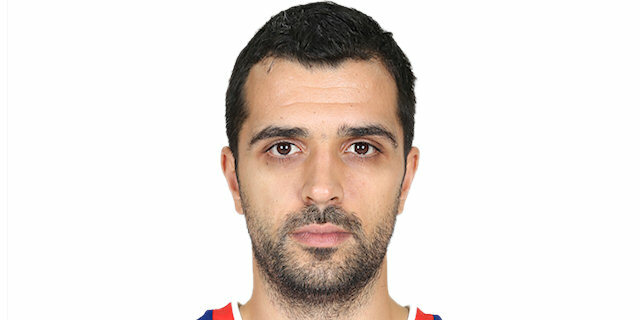 Krunoslav Simon buried the game-winner in the final second to lead Eurocup champion Lokomotiv Kuban Krasnodar to an exciting 69-72 road win over Panathinaikos at Heraklion Indoor Sports Arena in Crete on Thursday. Loko improved to 3-1 and shares first place in Group D with Maccabi Electra. Simas Jasaitis paced the winners with 14 points. Derrick Brown added 13 and 8 rebounds, Sergey Bykov had 11 and Richard Hendrix scored 10 for Lokomotiv. 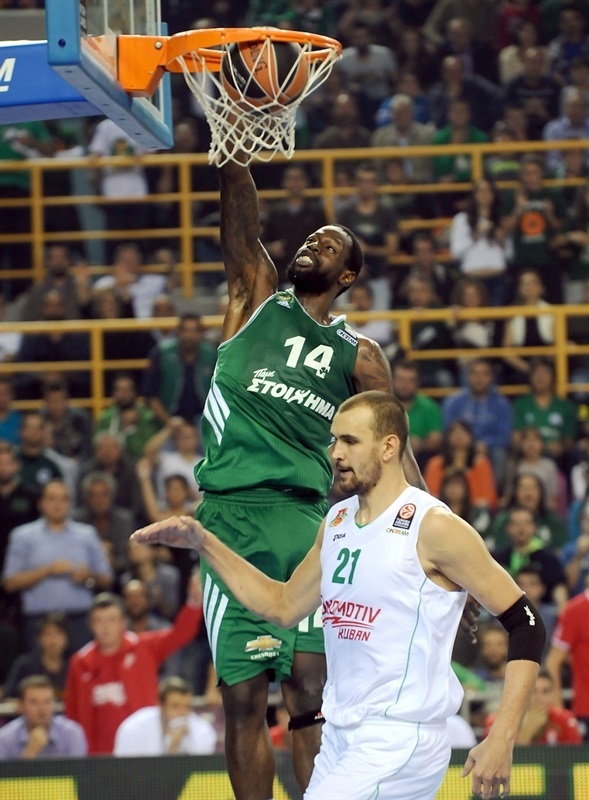 James Gist led Panathinaikos with 18 points. Nikos Pappas added 13, Jonas Maciulis had 10 while Dimitris Diamantidis, in his 200th Euroleague game, dished 8 assists for the Greens. Lokomotiv led for the better part of the game, getting a 12-17 edge after 10 minutes and extending it to 31-36 at halftime. A three-pointer by Jasaitis gave Lokomotiv its biggest lead, 43-56, early in the fourth quarter. Gist and Pappas fueled a 12-1 run that brought Panathinaikos back to life. A free throw by Gist completed the Greens' comeback, 66-65. Simon and Jasaitis gave Lokomotiv a 66-69 lead, but Diamantidis nailed a three-pointer that tied the game, 69-69, with 6 seconds to go. Simon grabbed the inbounds pass and buried the game-winning shot, allowing Lokomotiv to grab a historic win! 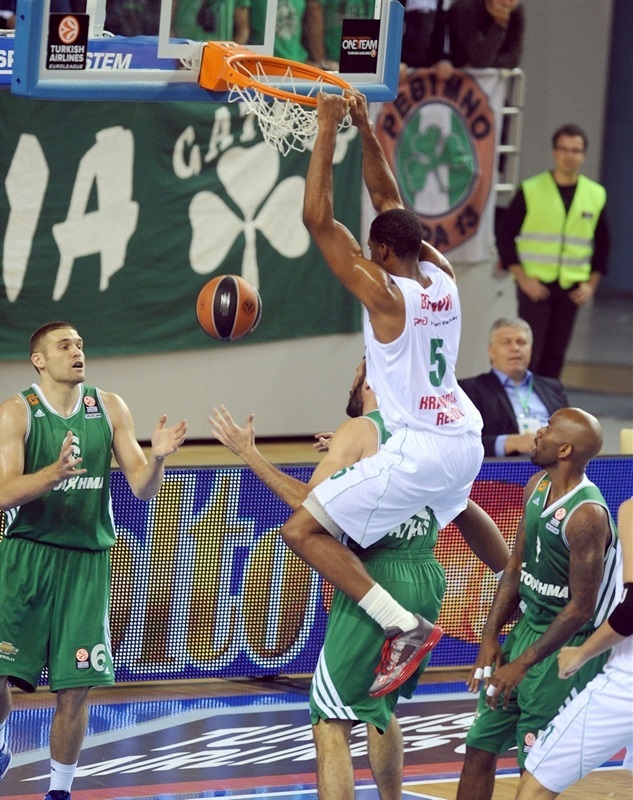 Stephane Lasme got Panathinaikos going with free throws, but the hosts struggled to find open shots early. Meanwhile, Brown stepped up with foul shots and a three-pointer by Bykov gave Lokomotiv its first lead, 2-5. Panathinaikos was held scoreless for more than four minutes until Gist collected a steal, drew a foul and split free throws. A tip-in by Hendrix soon gave Lokomotiv a 3-7 lead. Gist fired up the crowd with a two-handed dunk that Mantas Kalneitis matched with a fast break layup. Bykov buried his second three-pointer to boost the guests' lead to 5-12. 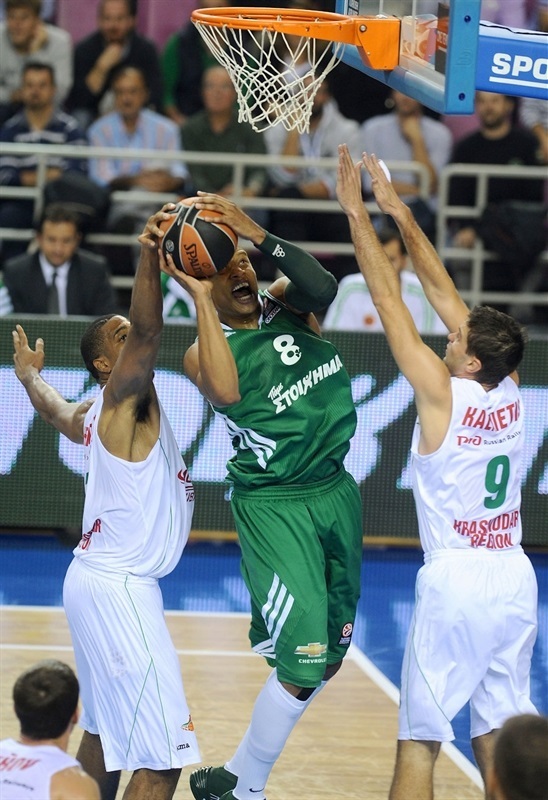 Mike Batiste hit his trademark jump hook in the low post and a put-back slam by Gist brought Panathinaikos within 9-12. Hendrix dunked and Brown had a big block on Batiste, but a three-point play by an unstoppable Gist kept the Greens within 12-14. A free throw by Bykov and a wild, high-flying put-back slam by Brown boosted the guests' lead to 12-17 after 10 minutes. Alexey Zhukanenko found his first points early in the second quarter, but a layup by Jonas Maciulis kept Panathinaikos within 14-19. Roko Ukic downed a stop-and-pop three-pointer, however Simas Jasaitis quickly answered from downtown for a 17-22 Lokomotiv lead. Ukic insisted from beyond the arc. Jasaitis once again answered with a triple. Lasme ignited the crowd with a two-handed slam, which Antonis Fotsis followed with a fast break layup to make it a 1-point game. Krunoslav Simon made free throws, which Ukic matched with an acrobatic fast break layup. Hendrix kept pacing Lokomotiv with another put-back layup. Gist improved on that with a triple that tied the game, 29-29. Brown took over with a put-back layup and added a five-meter jumper that gave the guests some fresh air, 29-33. Nikos Pappas scored in penetration, but Jasaitis bettered him with his third three-pointer, good for a 31-36 Lokomotiv lead at halftime. Pappas took over with a layup-plus-foul immediately after the break, as Panathinaikos improved its defense. Lokomotiv went scoreless for more than two minutes until Bykov shined with a fast break layup. Pappas kept pacing the Greens with a corner three-pointer, but Bykov fed Hendrix for an uncontested slam. Gist shocked the crowd with a show-stopping alley-oop slam. However Brown followed a jumper with a triple to give Lokomotiv a 38-45 advantage. Panathinaikos could not get Dimitris Diamantidis involved, as Lokomotiv was seemingly everywhere on defense. Kalnietis sank a jumper and Bykov matched Loukas Mavrokefalidis's free throws with an off-balance basket for a 40-49 lead. A fast break layup by Simon made it a double-digit game. Lasme split free throws, but Zhukanenko answered with a fast break layup and soon scored down low to boost the lead to 41-53 at the end of the third quarter. Pappas banked in a fade-away jumper early in the fourth quarter, but Jasaitis bettered that with a three. Pappas kept pushing Panathinaikos with a driving basket before a three-pointer by Diamantidis gave the Greens hope at 48-57. 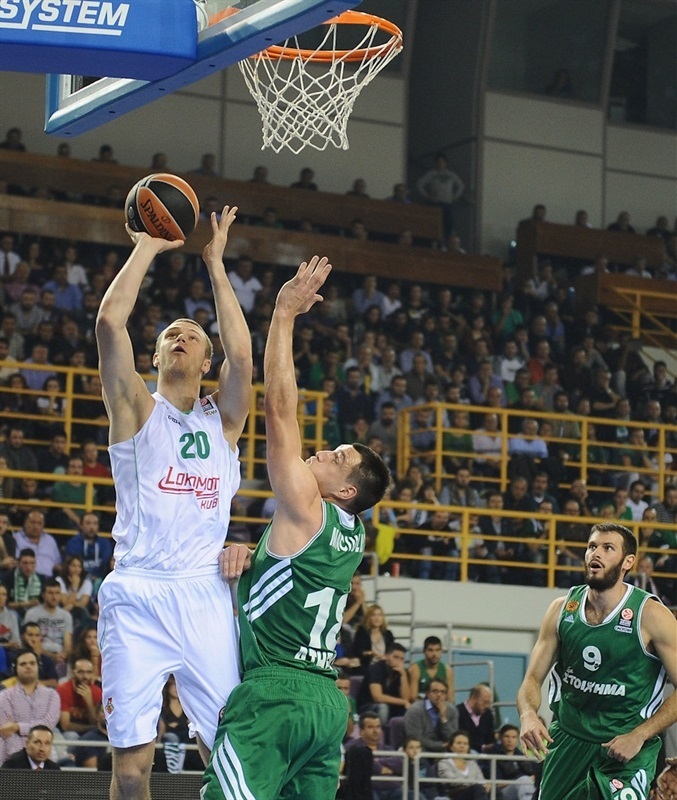 Diamantidis dove for a steal that led to an easy basket for Maciulis and a Lokomotiv timeout at 50-57. Maciulis struck from downtown, as the game turned into a physical battle. A driving layup by Pappas capped a 12-1 run that made it a 55-57 with less than six minutes left. Hendrix rescued Lokomotiv with a layup. Maciulis nailed a triple. Kalnietis answered from downtown and Zhukanenko gave the guests a 58-65 edge with three minutes to go. Mike Bramos nailed a three-pointer and a dunk by Gist brought Panathinaikos back to life, 63-65. A driving layup by Gist tied the game at 65-65, in the next-to-last minute. Gist split free throws and a backdoor layup by Simon put Lokomotiv back ahead, 66-67, with 48.6 seconds to go. 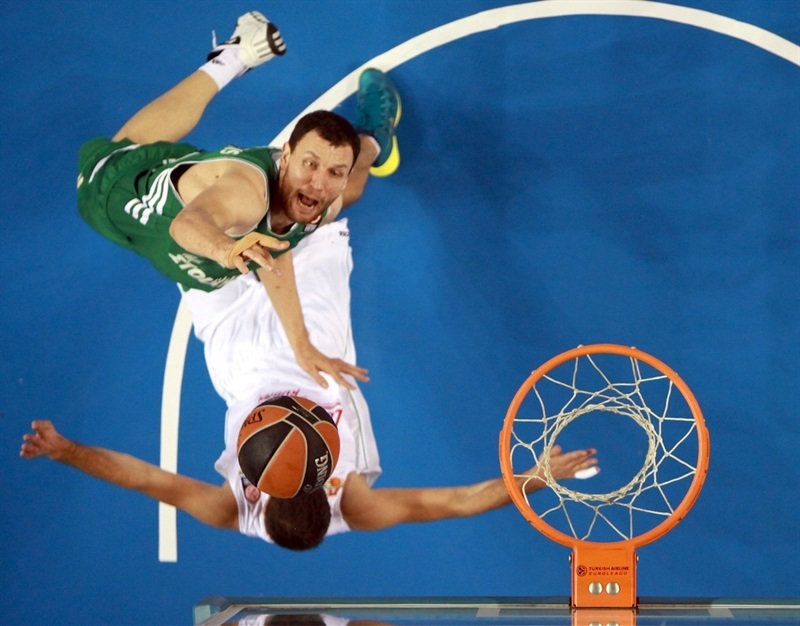 Lasme missed down low and Panathinaikos fouled Jasaitis with 13 seconds left. Jasaitis made both attempts. 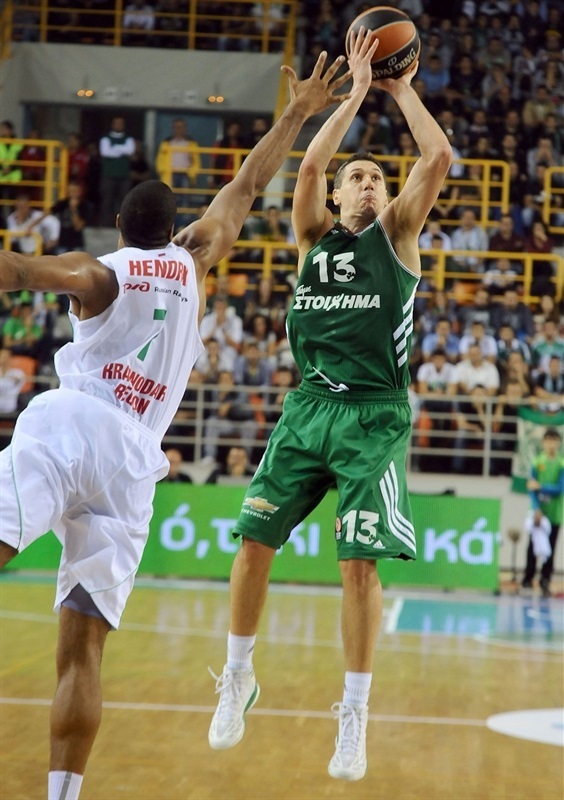 However Diamantidis buried a triple to tie the game at 69-69. Lokomotiv had enough time for a final shot and Simon buried the game-winning three-pointer with 0.3 seconds left to seal a huge win! "We played a bad game and we lacked speed, compared to our opponents. We didn’t have Curry due to his illness, but we found a good rhythm in the second half, through the small ball we used. Lokomotiv Kuban was lucky in the last play, but they deserved to win. We were very nervous from the beginning of the game and this is an issue. We have consecutive trips in our agenda and the tiredness is a factor that affects our game. We didn’t have enough fuel in our deposits and we tried to win the game only with our heart, but it didn’t happen. I want to thank the people here in Crete for their great support, but unfortunately they weren’t paid back. We are not disappointed and we have to keep going. 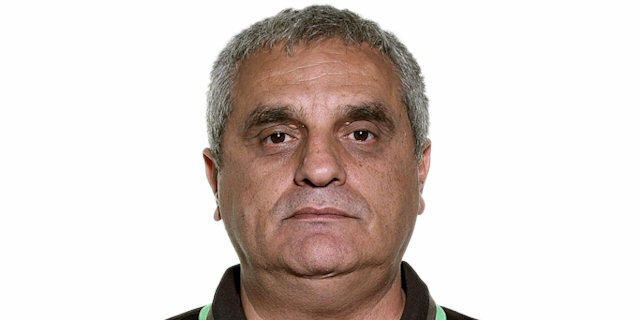 Panathinaikos is a great team and it is in our hand to solve our problems and improve our game." "I was expecting a game like that. A tough game against a great opponent, Panathinaikos. We didn’t allow Panathinaikos to have good cooperation in their offense and take advantage of their inside game. We controlled the game in offense and we managed to play good defense against Diamantidis. There is no doubt that this is a great win for a team that plays for the very first time in the Euroleague. On the last play of Panathinaikos, our target was to foul Diamantidis, but not immediately. However our defensive rotations didn’t work. 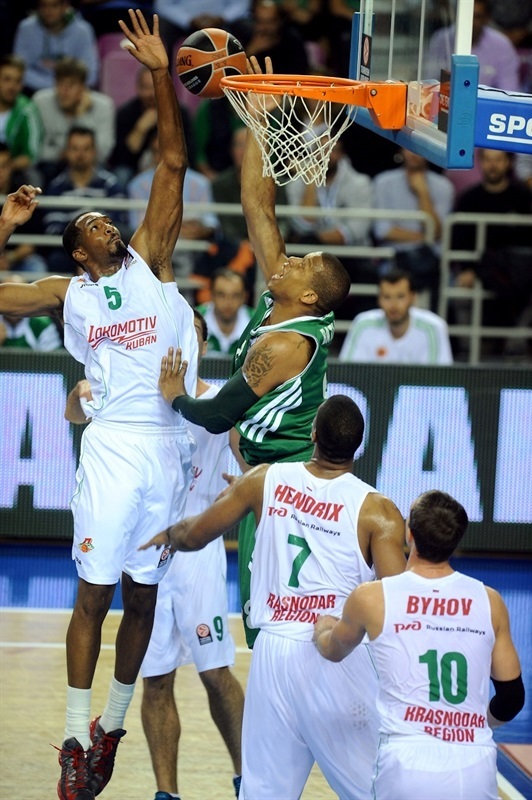 It is very difficult to beat Panathinaikos, no matter where the game is being played. Our group is very competitive and we have to work hard and keep our concentration in order to stay competitive." "It was a great game and this victory is a credit to us. We played good in the first half, especially in defense and we didn’t allow our opponents to get their shots. When a game comes to such a thrilling end, your only option is to get the shot. Sometimes it works, sometimes it doesn’t. I took this three-point shot at the buzzer and I was lucky to watch the ball go inside."